Commodity Export Marketing Authority (CEMA) under its relevant legislation have been tasked with regulating commodities under the regulator function, its activities includes; the inspection, grading and certification of the Agricultural products for the purpose of exports. CEMA is governed by a board of directors that is responsible to the Accountable Ministers, being the Minister for Finance and Minister for Commerce, Industries Labour and Immigration. 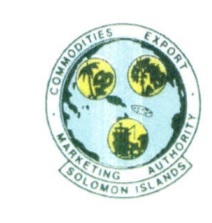 To maximise resource owners (farmer/trader/exporters) income through the following; by providing an effective and efficient regulatory service that enable exporters meet minimum market standard for their export products and by significant focus on improving in country analytical assessment as quality assurance measures towards higher value market. CEMA received SBD116 thousand in payments for the provision of community service obligation (CSO) in 2015 and 2016, respectively. These funding is provided to CEMA to provide in-house quality testing of varieties of agricultural commodity testing services. The CSOs in 2015 and 2016 were subject to a contract signed with the Ministry of Finance and Treasury.